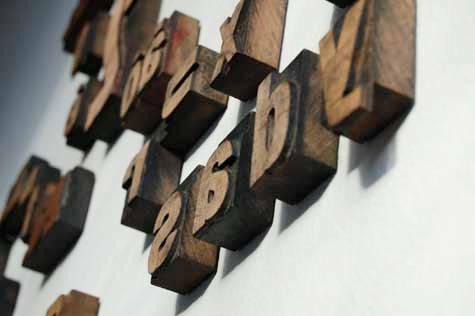 One of my favorite ways of introducing letters into decor is with vintage letterpress parts. These are the various type pieces used in the printing presses of previous times. Here are some examples. 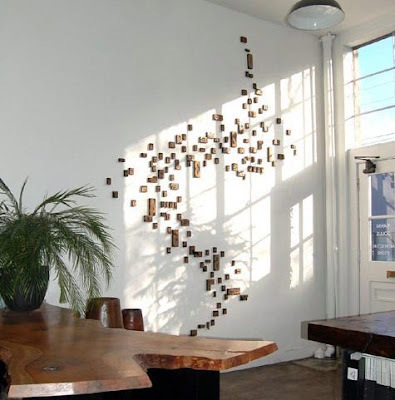 The first is a wall collage of individual letter press type pieces artfully arranged. Note all letters are in reverse for letter press. The above project is a DIY project. 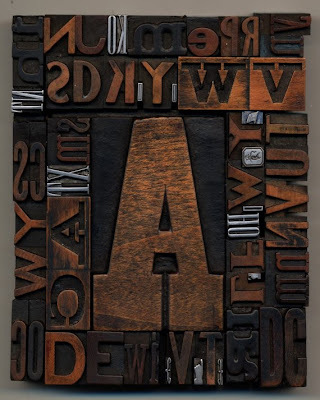 Letter press blocks are often available through Ebay and Etsy shops but also at Vintage fairs like Brimfield. The visual impact of letter press parts is the design theme of this wall paper pattern by Wall and Déco. It is a great pattern for an accent wall - certainly not for an entire room! This next example fooled me. At first glance I had assumed it was made from letterpress blocks but it isn't. The letters aren't backwards. 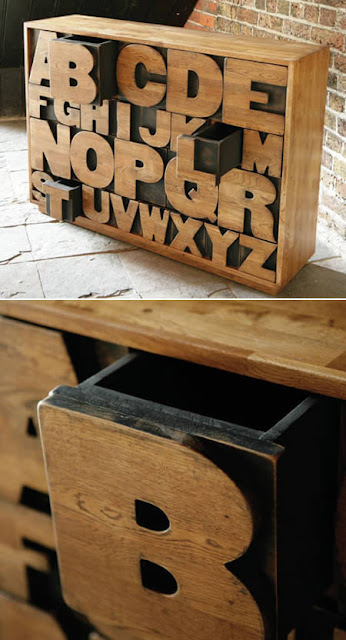 Doesn't matter, it has the essence of vintage letter press and is a great design for a tiny drawer set. It is designed by Kent and London from the UK. 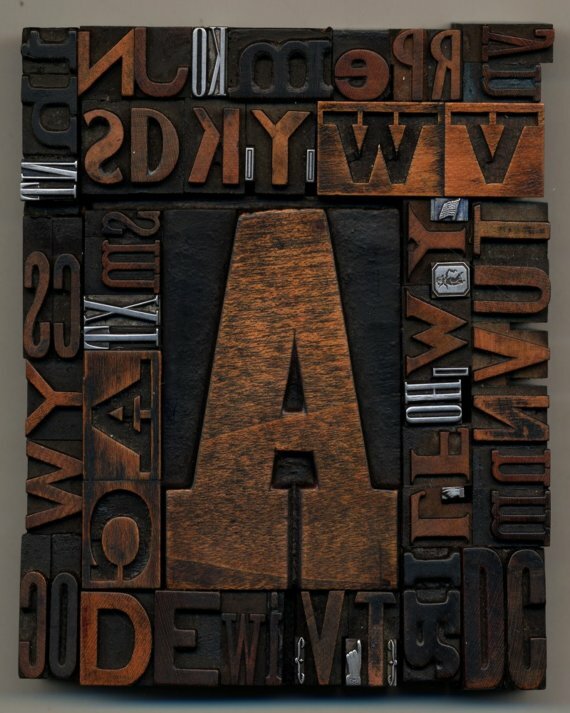 On a much more affordable level is this letterpress collage available at the Etsy shop BSHousley. It includes the abbreviations of the United Sates.